In 2006, Gerard Unger has given a beautiful lecture to us. We found a little documentation of the images he has shown. 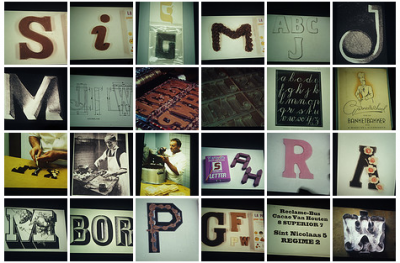 80 of 500 handdrawn typographic posters by Job Wouters are shown in a 3 minute filmclip by Roel Wouters. The posters promote the 2004 students‘ final works at the Gerrit Rietveld Academie in Amsterdam. 17Nov 2005, Stefan Sagmeister had visited Rietveld Academy, and we had a small presentation, nice conversation during his visit. For the ones who have missed it, or who likes to remember, here is some remarkable moments.